Are you successful in your relationships? Is your current partnership characterized by trust, understanding and compassion or by jealousy, fear of loss, or dependency? Is your partner the right person? What is a healthy love and a real relationship? Do you have relationship problems you’d like to solve? Take stock, become aware, realize your potential to love ‘for better or for worse’. In today’s world, relationships have become an object of consumption. Just like gum that has lost its flavour, a partner can be set aside, to be quickly substituted. The modern challenge seems to be to find the right partner in life and not to waste time if a situation seems to be deteriorating. Even if this appears to be logical, it is often based on wrong assumptions and leads to inner emptiness, psychological crisis and an inability to engage in a sophisticated long-term relationship. So many of us have been raised to be self-sufficient, both economically and emotionally, and while this in itself is not wrong, when it excludes the ability to melt in love with another person, we lack the ability to surrender fully to something that is bigger than just ‘you and me’. In the flow of daily life, we sometimes lose sight of one another. Small differences become overwhelming obstacles. We isolate ourselves, we feel judged, misunderstood. We forget how it feels to balance our own needs with those of the other. We start to wonder whether what we feel is right, is real, is love. And as we go on like that, we may start to doubt whether we are capable of a relationship that will stand the test of time. 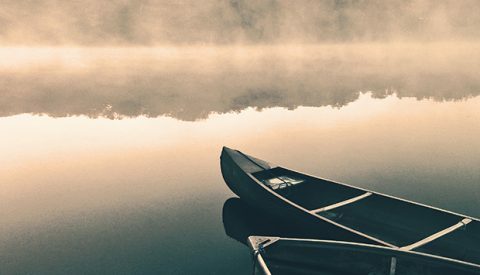 This test looks at all aspects of the relationships in your life through the lens of the four qualities of Lucidity: contentment, mental clarity, self-reflection and psychological maturity. 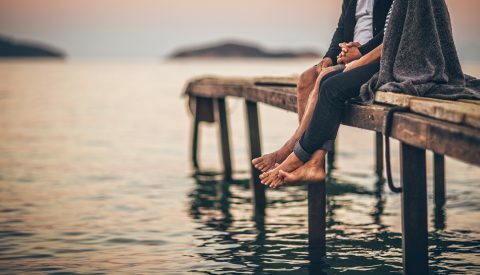 It assesses your ability to deal with partnership problems, and the results – your Lucidity profile – will show you your strengths and weaknesses and, indirectly, illuminate those of your partner. This is not the kind of personality test that rates or categorizes you. It will not tell you that you are this or that kind of person. 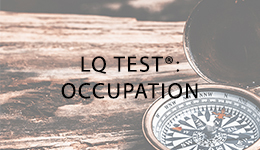 Instead, the LQ Test®: Relationship reflects your current situation, your habits and automatic responses. Understanding these helps to increase your insight into your own behaviour in relationships and the resulting report will offer advice so that you can harness your true potential to find the contentment that is missing. 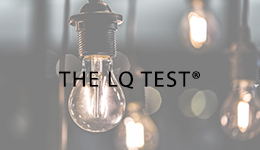 The LQ Test®: Relationship is made up of about 40 questions. For each question, you will be given a selection of answers and asked to choose the one that most closely reflects your thoughts, feelings and usual reactions. You can take the test online, and you can stop and start it as often as you wish without losing your earlier responses. As with all the LQ tests, the LQ Test®: Relationship has been compiled in such a way as to include both heterosexual and LGBT respondents. You will receive a fascinating personal report of about 30 pages that offers detailed insights into the existing psychological tensions and conflicts in yourself and your relationship, along with advice tailored to you and your specific situation. Your results will also be represented graphically in a chart depicting the varying levels of the four Lucidity qualities in your relationships. The report will create a new awareness of the dynamics of your relationship, enabling you to set out on the path to contentment. An indication of your current LQ for your relationships and notes on how you can improve it. The LQ project aims to measure and increase self-insight through the concept of Lucidity. It promotes a new understanding of how the mind creates automatic responses and limiting identifications, and eliminates all that, psychologically, stands as an obstacle between you and your potential for real contentment and self-realization.